My grandfather was an impressionable child when Tutankhamun’s tomb was discovered, so when he came to a point in his life when he could indulge himself, went to the Oriental Institute in Chicago for an Egyptology degree. As a result, my childhood had a lot of exposure to ancient studies. 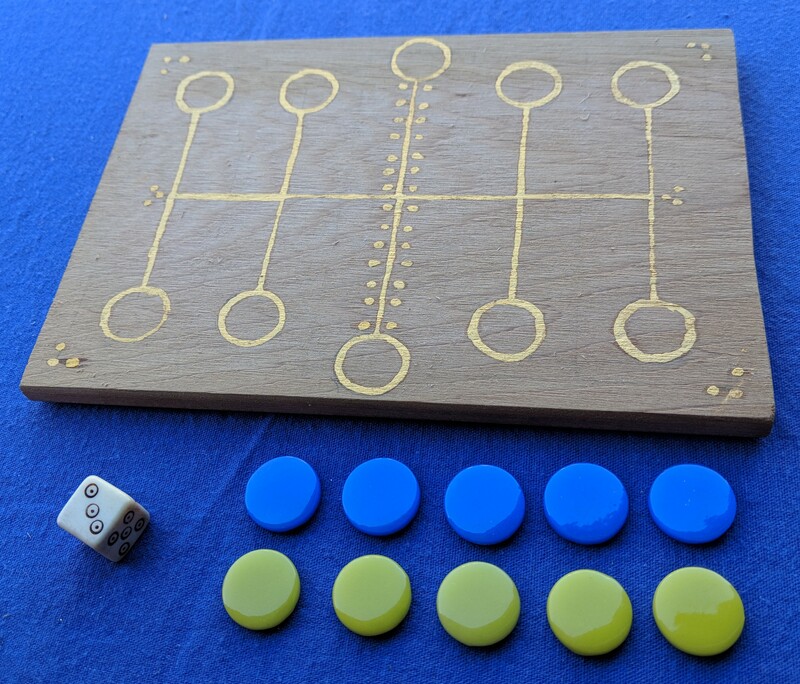 I delight in the nostalgia of him teaching me to play games from history, such as Senet and Chess. Several of these are incomplete, waiting for ideal components. For example, I hope to replace the chopstick on the Aseb and Hounds & Jackals boxes with a proper papyrus reed. This is an Egyptian variant of Twenty Squares. 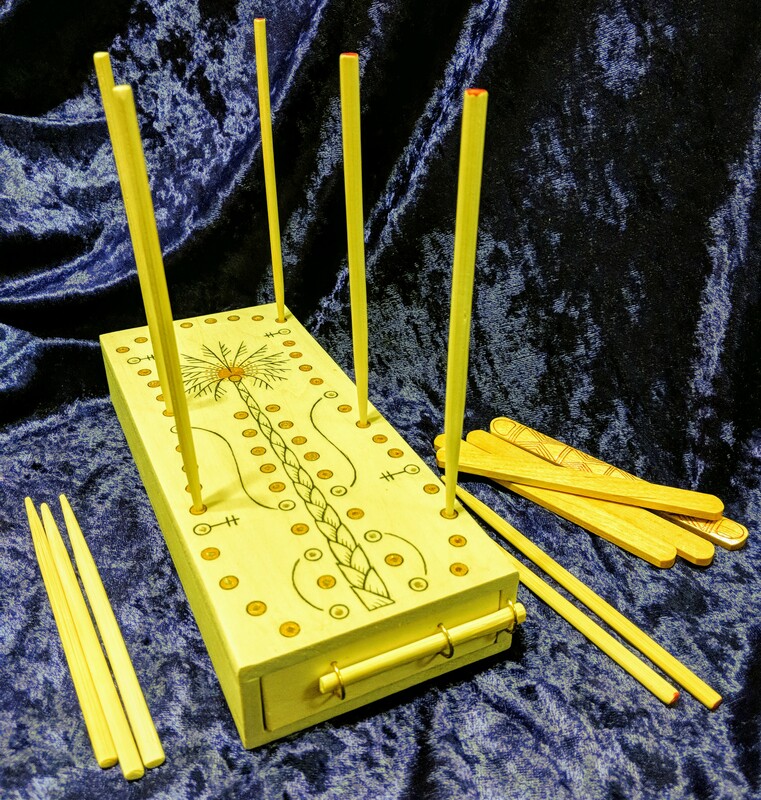 Many surviving examples are a board/box system, many with Senet on the opposite side of the box. They are often embellished with ivory. 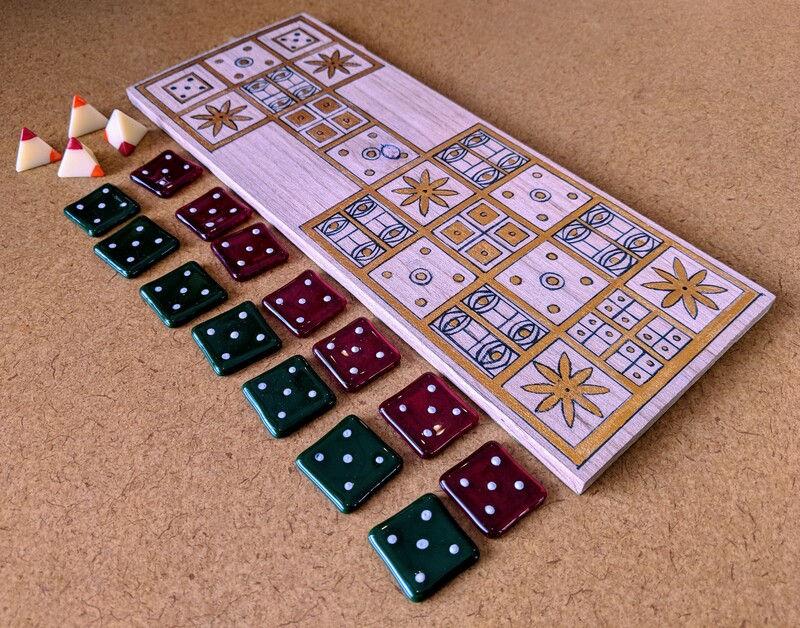 A number of dice systems may have been used, including knucklebones, cowries, throw sticks and crafted dice. 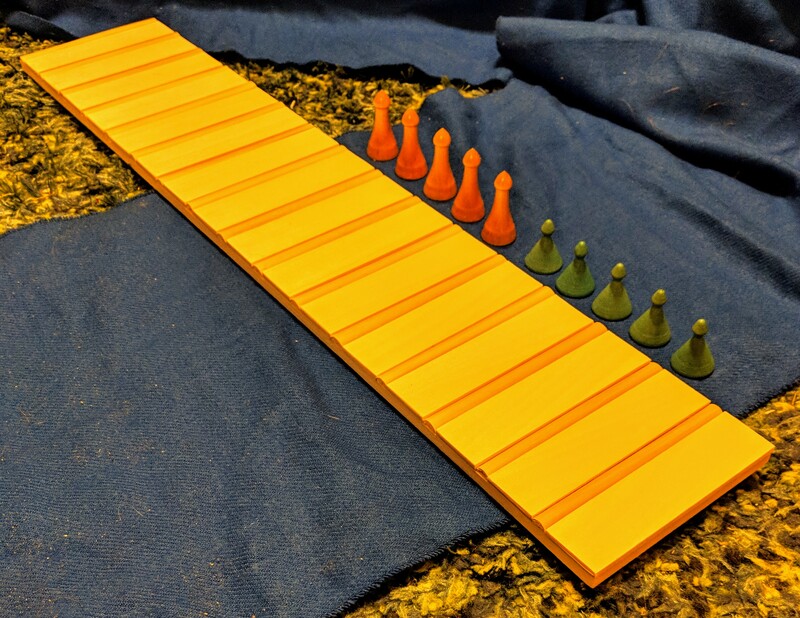 This example is crafted from the very finest craft-store basswood, with care in selecting the straightest boards for a stable and solid gaming system. 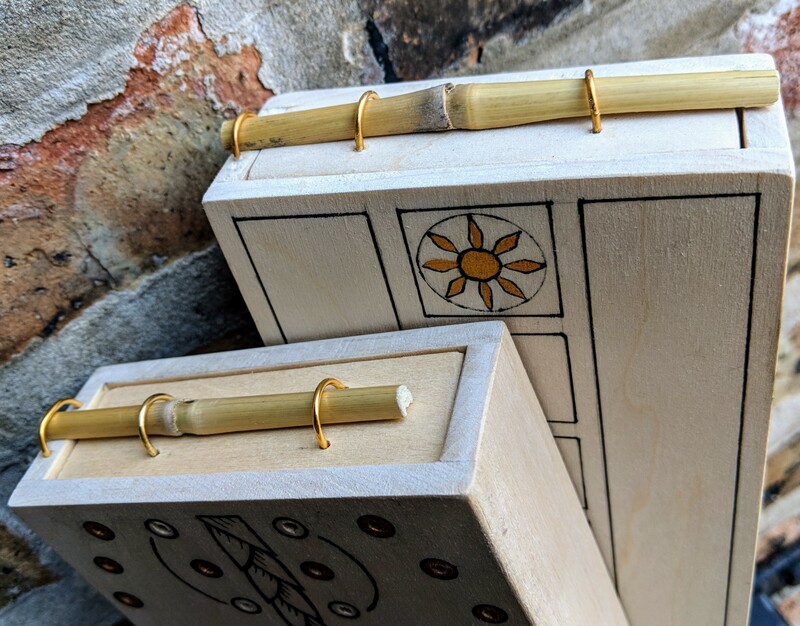 A papyrus reed with a node will be needed to authentically secure the sliding drawer. Oldest known Twenty Squares specimen layout and dice, pre 2600 BCE. British Museum Curator Irving Finkel translated rules for the game from a cuneiform tablet from the 2nd century BCE. Finkel apparently reports finding a descendant game being played in modern India. An Alder plank is used here, again selected for lack of warping for a better playing surface. Oswyn of Badon is crafting glass counters. 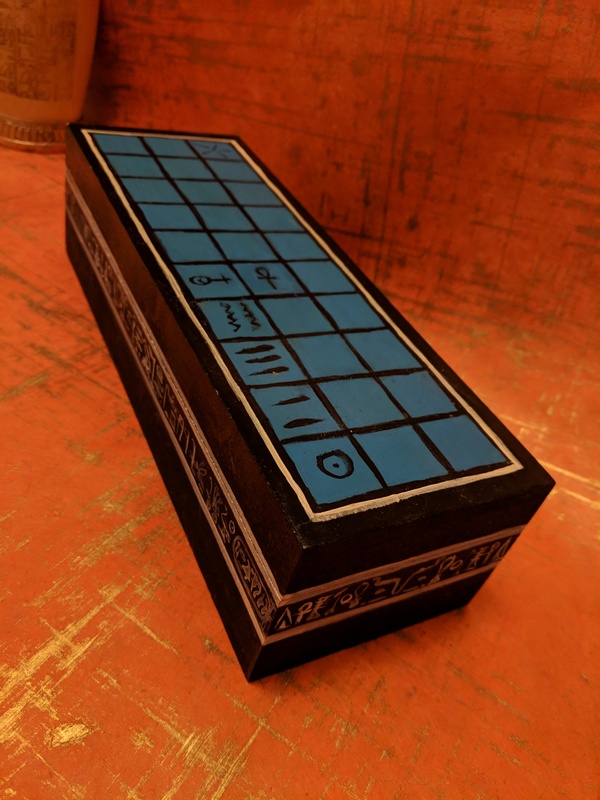 Based on one found in Tut’s tomb, complete with same hieroglyphs. 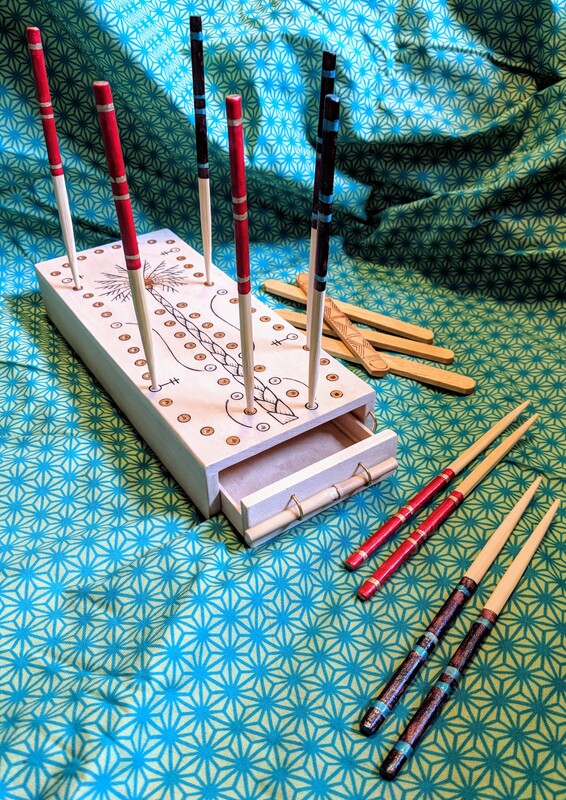 Evidence of Senet has been found in predynastic burials as old as 3500 BCE, and seems only to have faded after the introduction of tables. This box was made about 20 years ago from a box that opens lengthwise. Also from Egypt, but many specimens come from Crete. Rule reconstructions suggest this is mostly chance with less strategy. Hounds & Jackals variant, w.i.p. 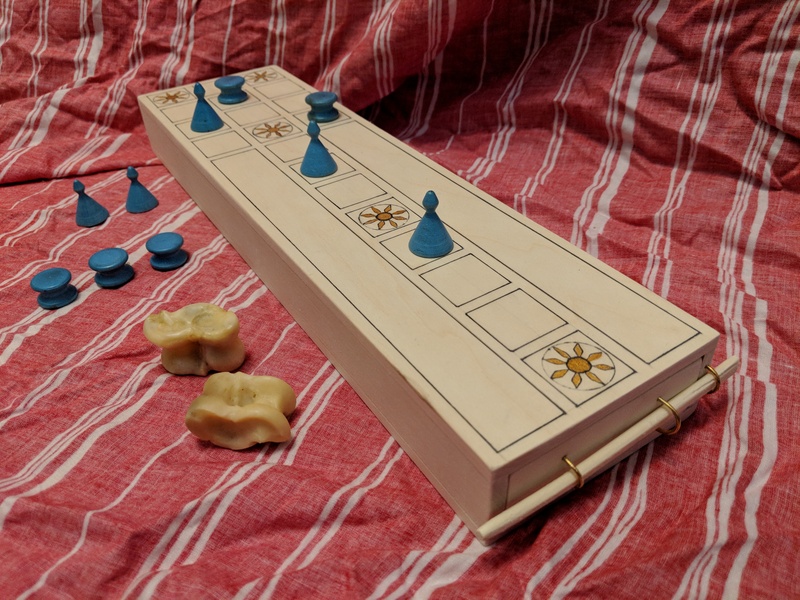 A game that appears to come from pre-dynastic Egypt, men seems to have died out by the end of the Old Kingdom. 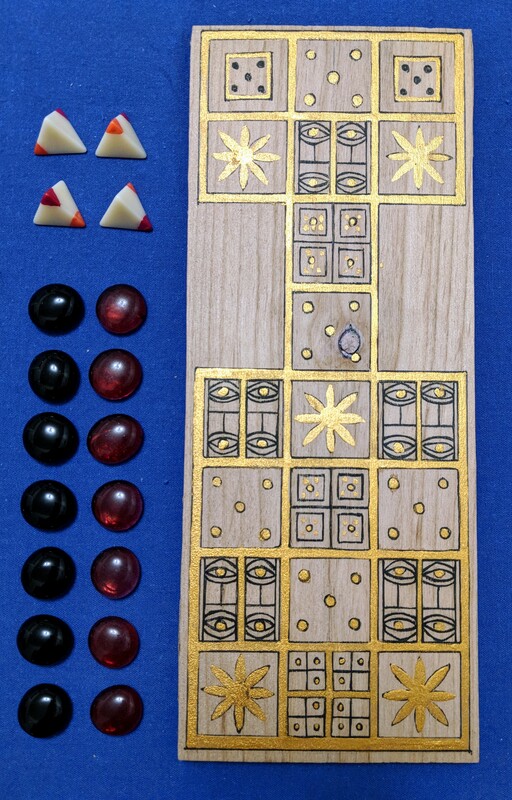 This example is based on a wood panel found in the 3rd Dynasty tomb of Hesy-re, which depicts a collection of games. Few attempts have been made to reconstruct rules for play. 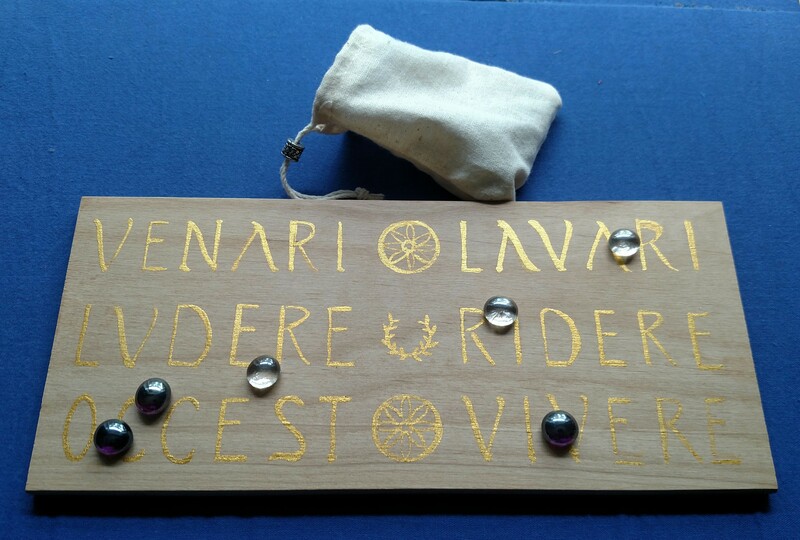 A game popular from 6th century Greece on, and possible ancestor to other games played by Romans and Etruscans. Possible ancestor of Tables. Ancient Roman, possibly Etruscan. Possibly related to Five Lines and Tables.